Personally, I have the expertise to offer to clients like system administration, programming in different languages, social media campaign building, video edition, project management and some more, where I built a track record over the years. This concerns the field of providing a service based on expertise, but there are different forms to apply such a service. These 4 forms differ substantially so please use them for the correct use case if you use them. 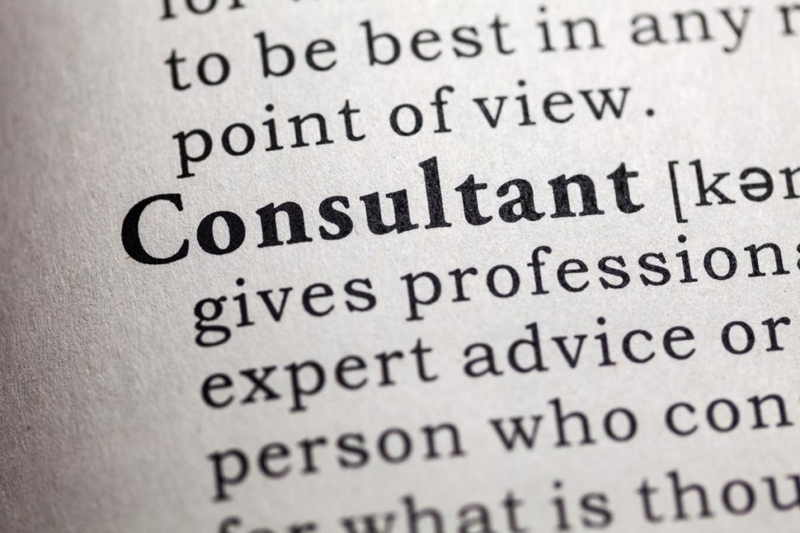 A consultant provides consulting services, so he offers his expertise to implement a specific task, system, product or service. A consultant is not just telling good stories and providing options, he gets his hands dirty and implements! An Advisor provides his advice concerning a specific topic to a business or individual with less or different expertise in the field of action then himself. The responsible manager could then get a consultant to implement the advice. The word mentor is used a little different, normally in a more personal environment. The coach is coaching individuals or groups based on his experience. He provides his expertise in a structured way to guide individuals or groups to a certain level of expertise. The coach provides a structured guide for the individual and possibly its trainer, who supports the individual or group in passing action steps. He differs from the consultant, as he does not mainly use his expertise to get active himself. He transmits his knowledge. A coach might also have an Advisor function but this is not part of pure coaching. A trainer then is responsible for the hard work of implementing the coaching to achieve the goals and values, defined by the coach. I would define a teacher as a constant trainer … but you should have a detailed idea of what a teacher is. Personally, I am a good coach, consultant, and advisor as I bring the necessary expertise to the table, but I am no trainer and I don’t want to be a teacher for people who don’t want to learn. I do think, the business model of consulting, advisory and coaching online are popping up because of the connected world we live in and there is a need for services in the field by individuals and businesses in a modern way. Businesses have the possibility to hire outstanding personalities with great expertise from around the world and can connect with them through video conferences and chats instantly. If you are providing services in one or several of these areas, what is your function? I encourage you to stand out and provide your expertise, even if you are a specialist in a very narrow niche. There are lots of people following the trend, but if you have real skills I recommend to get the education to hunt down those who really want to employ you for the real skills you have. Get your education to entrepreneurship by the great mentors Stuart Ross and Jay Kubassek. Their sophisticated program and lifelong learning campus educate you to be an expert in modern entrepreneurship and marketing and you can even get several prestigious certificates to document your expertise.